For love of country, I supported Duterte despite his atrocious imperfections. I maintained that as flawed as he is, he is still the only one with political will to reform society the way he did in Davao. But the national campaign against the drug problem morphed into a ruthless genocide with no end in sight - 7,000+ deaths and counting. Duterte's brand of cure is killing the country faster than the drug problem itself. With the unconscionable killing of a 17-year old student who begged for mercy to catch a school exam, the last straw has finally broken the camel's back. Now, an entire country is outraged by the lawless impunity of those who have sworn to uphold it. When Duterte assumed the presidency, I was glad but with deep seated reservation. Glad because I thought, finally, the country will be put into order by someone who already has a proven track record to straighten things out even by the crude method of an iron might. I knew there would be deaths but dismissed it as collateral damage in the bigger imperative of solving the drug problem that has permeated throughout the nooks and crannies of society. But the death toll mounted. The killings went on unabated with poor people as the usual suspects/victims. Where were the big fishes? Some mayors were killed. Is that as high up as it goes? Are there no drug-dealing generals? no drug-dealing business tycoons? no drug-dealing senators (sorry, deLima doesn't count)? It was no longer making sense. What about his own backyard? His son is smeared with drug money but nobody seems to notice. How can the War on Drugs be won if the rich and mighty are sacred cows while the poor bear the full brunt of Duterte's wrath? As of July 2017, the count was 7000+ with no end in sight. Some counts reach a number as high as 13,000 deaths! The president said it himself - he doesn't care if the death count reaches 100,000! Have you been to SMX Convention Center when it's packed? 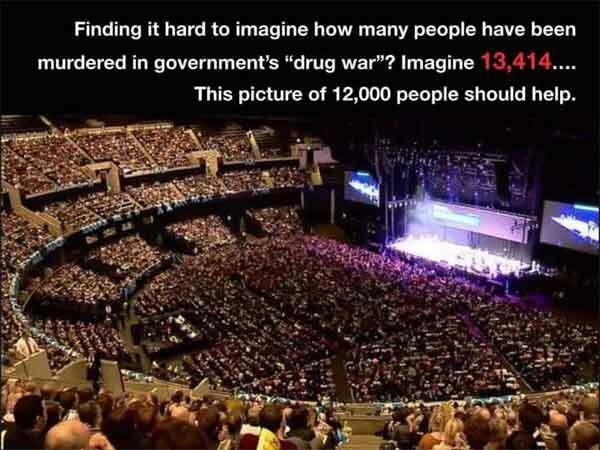 That's 12,000 people - imagine all of them dead with the bodies piled up one on top of the other. There is no upper-limit on the body count before he concedes that the way he is waging this war has failed. This is no longer colateral damage. This is genocide! Killing is not part of the Filipino tradition. We are not a nation of killers. This cannot be the right path to nation-building. I felt the weight on my shoulders for having supported him. I secretly applauded the people who berated and chastised him on the internet. His critics were essential to put a check-and-balance on the system. I regarded the online critics as the unsung heroes of this regime as they refused to buckle down and remained staunch in their resolve while facing the wrath of the trolls and the fury of die-hard Duterte supporters. Due to my initial support, I already felt I lost my right to criticize the president even though my thinning support grew fragile and wavering. I was lost. How could I denounce an erring president and still maintain that there is no one else who has the balls to fight crime head-on? Afterall, everyone else failed. The Aquinos, Ramos, Estrada, Macapagal all came and went without any meaningful social reform - crime remained rampant and the poor remained poor. I was on the fence already, but with Kian's senseless and cruel killing, I finally snapped out of my delusion. Kian was a 17 year old student who pleaded for mercy so he could attend his school exam! But he was forcefully given a gun and made to run. The police then had their excuse to shoot and kill Kian in cold blood. That is not so much about rogue cops as it is about Duterte's runaway presidency going off the rails. As of this writing, there are several public outrage events happening across the country denouncing the heinous killing of this Grade 12 student. I am with them in solidarity. People need to take a stand or the killings will not stop. I thought we had a crime-fighting president. But at this point, it has become increasingly clear to me that what we have is a genocidal maniac who has no value for human life and no regard for the rule of law. For love of country, I now withdraw support from him. I extend my heartfelt apology to this nation for having supported this president. (Aug 22, 2017) Your honesty is refreshing. It is hard to admit that supporting the man has led us down this bloody path. Salamat! (Aug 21, 2017) Nice Gigit it was interesting to see it from your point of view. Also Just to share. You might want to see how many people were killed. Here is some "context"...this freaking scared me. (Aug 21, 2017) I agree, Git. This could very well be the last straw for all right-thinking Filipinos, many of whom have remained silent till now. (Aug 21, 2017) It is truly disgusting what he had done. 7000 and counting is insane and how many are innocent within those numbers?? It does not appeal to others outside the country and cannot possibly look promising for The Philippines with regards to foreign support, tourism investment, etc... I greatly appreciate your honestly and openness as I share similar views. Genocide is what this is and cannot be continued. (Aug 21, 2017) Powerful stuff Gigit. Duterte came at a time of an international swing toward nationalism. This is what has given us him, trump, brexit and in my country an ANC constantly blaming everyone other then themselves about the country's woes, even ignoring facts to the contrary. (Aug 21, 2017) Thanks for speaking up Gigit. Can I share this? (Aug 21, 2017) Can I share this Git?